BHRC have been involved in Colombia since 2003, working with Colombian lawyers, human rights activists and NGOs to sustain strong links with the human rights community and the legal profession. BHRC have developed close links with CCAJAR, the José Alvear Restrepo Lawyers’ Collective in Bogotá (which brings high profile cases against agents of the Colombian State to address impunity for human rights abuses), and with CALCP, the Luis Carlos Perez Lawyers Collective based in north-eastern Colombia, who work with the internally displaced population in that part of the country. 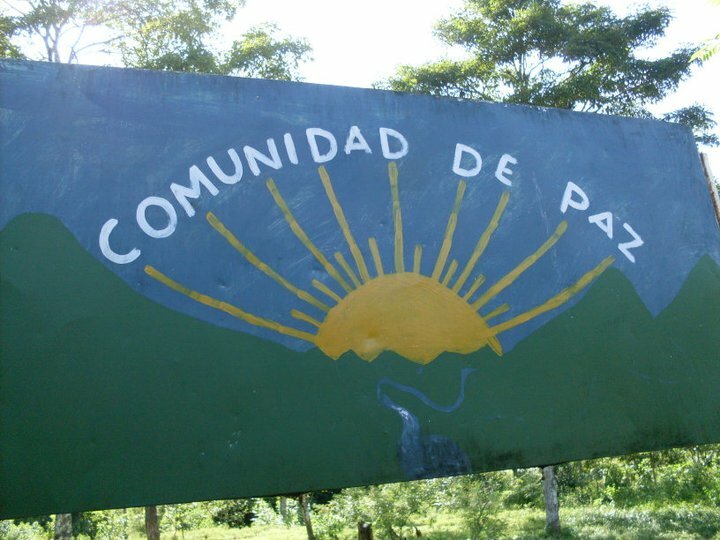 In 1997, the Peace Community of San José de Apartadó in the North-West region of Urabá, Colombia, declared itself neutral to the five-decade armed conflict, a civilian protection strategy based on international humanitarian law. Since then, the community has suffered many killings and reprisals. In 2005, a massacre committed by paramilitaries and the Colombian army left eight people dead including three children. In response, the community declared themselves in ‘rupture’ with the Colombian state. Kirsty Brimelow QC has facilitated dialogue between the Colombian Government and the Peace Community. 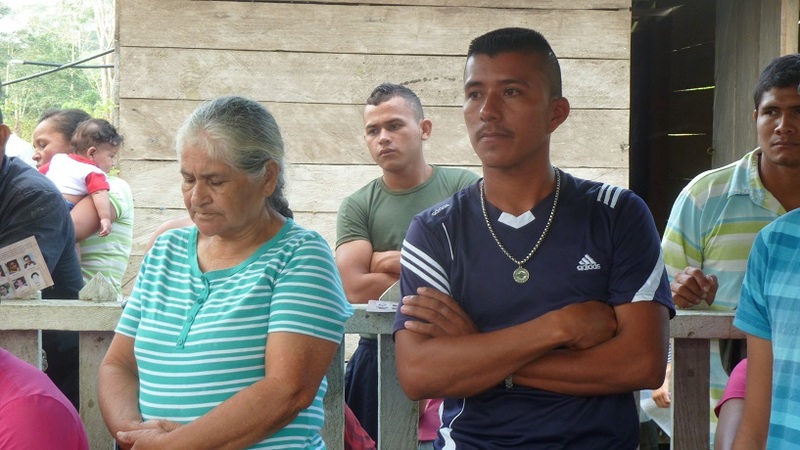 One result of this has been that on December 10th 2013, President Santos issued a historic formal apology to the community for stigmatisations made by his predecessor Álvaro Uribe. Anthropologist, Gwen Burnyeat, has worked with the Peace Community since 2011. She and Kirsty have now combined forces to work towards reconciliation between the Government and the community. In 2016, BHRC welcomed the historic peace agreement between the Government and rebel fighters, with its imperatives of peace and transitional justice.It continues to support those who have suffered and seek justice, and supports a new context of stability and sustainable peace. In October 2017, Kirsty Brimelow QC returned to Colombia to continue to build on the progress made during the peace process, working in la Paz. She again visited the Peace Community of San José de Apartadó and the battered conditions in which they live. Upon her return, she spoke about her first hand account and the need to protect rural communities at a panel discussion at Parliament with the Ambassador of Colombia to the UK, H.E. Mr. Nestor Osorio and Lord McConnell of Glenscorrodale. In March 2009, BHRC visited Colombia on a human rights delegation (organised by Peace Brigades International). During this visit, BHRC met with members of legal profession, human rights activists and academics to discuss their immediate need for assistance, which included the need for capacity building on international human rights standards. In September 2009, following the request for assistance in capacity-building, BHRC took a delegation of human rights lawyers to Colombia to take part in a training seminar on international human rights law. The training was held over three days at the Universidad Autonomia, Bogotá, Colombia, and was held in conjunction with the José Alvear Restrepo Lawyers’ Collective (CCAJAR) and the Association of Colombian Human Rights Defenders (ACADEUM), both based in Bogotá. Participants included local lawyers, academics, judges, trade unionists, journalists and NGO leaders. The training focused on the rule of law; access to justice; extrajudicial executions and enforced disappearances; impunity; indigenous people and minority rights; freedom of assembly and expression; and international and regional enforcement mechanisms. One of the main outputs of the project was the production of a handbook for Colombian lawyers. The 50 page handbook, printed in both English and Spanish, sets out the key human rights standards as established in international systems and frameworks. The handbook sets out in detail the United Nations Special Procedure system through which complaints against human rights violations committed with Colombia may be made. In addition to the training seminar, BHRC also took part in a public forum on “Human Rights and Judicial Independence as Democratic Values” at the Universidad Autonomia, Bogotá in September 2009. Over 350 participants attended the public forum, and presentations were made by Kirsty Brimelow (BHRC Vice-Chair), as well as academics, local lawyers and a Magistrate from the Supreme Court of Justice. In May 2006, BHRC participated in a delegation organised by the British-based human rights NGO ‘Justice for Colombia’. BHRC set themselves the task of investigating the rule of law in Colombia and how it complies with international human rights standards, especially as they affect the trade unions. BHRC took evidence from trade union leaders and their members in the agricultural, health, education and petroleum sectors, and from lawyers and other human rights defenders. We met with Government agencies and representatives of the armed forces. In 2005, the President of CCAJAR participated in BHRC’s workshop at the 2005 Bar Conference which focused on war crimes tribunals and truth and reconciliation commissions. CCAJAR’s caseload is varied, involving massacres, extra-judicial killings, torture, forced disappearances, and displacements. The CCAJAR lawyers and their families face constant death threats. Media coverage of BHRC’s Colombia work in Al Jazeera.